« How Are Serious Games Reinventing Businesses? 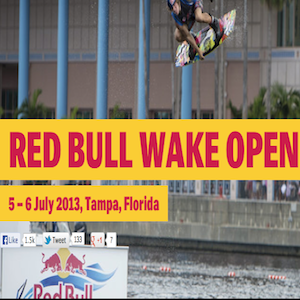 The Red Bull Wake Open in Tampa, Florida is the world’s largest Wake Boarding contest and they wanted to do something new and engaging from a guest experience perspective this year. So, after reviewing various mobile technologies they decided to partner Smartsy to incorporate Visual Recognition and User Generate Content into their branding and collateral to help make them more interactive and actionable. The custom app was easy to use and built around Red Bull’s main priorities for the event: driving guest engagement, generating new content and building athlete awareness. To do this various functionality was incorporated that allowed users to unlock secret content from posters and wake board rider cards (think baseball cards for wake boarders!) that offered insider perspectives on the competing athletes and the event itself. During the event the fans could also capture their own experiences and see themselves on the Jumbotron, which created a lot of good user generated content and buzz. They were also asked to vote for their favorite rider (electing who would be the official “Fan Favorite”). In addition to that they could see content from previous Wake Opens, as well as share content over their social networks and follow their favorite riders on FB or Twitter. Despite inclement weather at the event, held over two days in Tampa on July 5th and 6th, the app ended up with a lot of adoption and users provided very positive responses to the app. While Smartsy can’t disclose specific stats on the results, they can say that they experienced very strong voting numbers, sharing across social networks, content ‘liking’ and user generated content exceeded expectations, and received extremely high numbers of visual recognitions, especially on a per download basis. The feedback from both Red Bull and guests were that they loved the new experience and thought it was a really fun way for Red Bull interact with their fans.